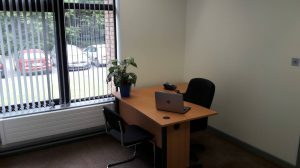 Looking for an office in Cork? We have spacious offices to rent, with flexible contracts and ample free parking. Looking to find out more information? Contact us today on 0214536199. Flora is the facilities and social media administrator for Acorn Business Centre looking after the social marketing for the company. She develops content for the website and manages the Twitter and Facebook accounts for the business. She also provides Acorn Business Centre clients with advice and feedback on their social media accounts.